Tips for guides, drivers and other small tips as porters, boatmen etc. Welcome to Da Nang international airport, our driver will pick you up and transfer to your hotel in Hoian. Free at leisure in Hoian, a small town classified as World Heritage by UNESCO. Dinner and overnight at the hotel in Hoian. Breakfast, Departure by bike to visit the agricultural village Tra Que which provides vegetables for the whole city and the surroundings. Cooking class with the preparation of Banh Xeo, crisp hot pancake stuffed with soy sprouts, pork slices and shrimp. Lunch and relax by Foot massage. 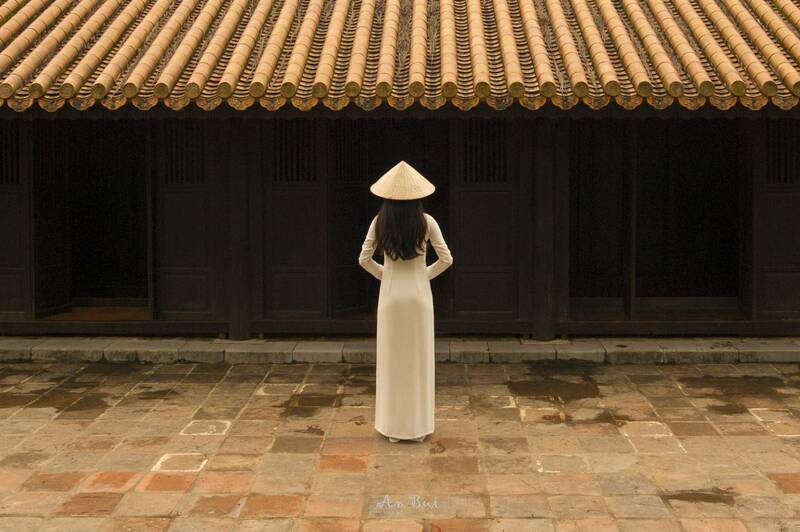 Walking in the ancient city of Hoi An, a small town classified World Heritage by UNESCO. During the visit of Hoi An, you will notice the perfect state of preservation of a large number of houses, including the famous Tan Ky House. Visit the old parts of the city: the Fujian Shrine, Phuc Thanh Pagoda, Phuc Kien Assembly Hall, the old wooden houses and the Japanese bridge. Dinner and overnight at hotel in Hoi An. Breakfast, departure to Danang, a mountainous region where marble is extracted. Visit the village of stone sculptors to appreciate the skill of craftsmen. Continue to Hue via the famous Hai Van Pass ​​from where you will have a beautiful view over the peninsula of Lang Co. Arrival in Hue, the former imperial capital of Vietnam and cultural capital classified as World Heritage by Unesco since 1993. The city was built by the Nguyen dynasty. Lunch. In the afternoon, visit the Imperial City. Enjoy the Royal costume dinner (minimum 10 participants). Overnight at hotel in Hue. Breakfast, boat trip on the Perfume River to Thien Mu Pagoda whose octagonal tower is recognizable from a distance. Visit of a royal tomb of the Nguyen dynasties with Tu Duc tomb. Lunch with tasting of Bun Bo Hue, "Hue noodles with beef", dish from the ancient imperial city. Free at leisure in the afternoon until time to transfer to the airport of Da Nang or Hue for your next destination.